Kanda University of International Studies and the IATEFL Learner Autonomy Special Interest Group (LASIG) are delighted to announce that they will be holding a one day conference in Japan in November, 2011. This event has also been organized in collaboration with The Japan Association for Self-access Learning (JASAL), Kanda Institute of Foreign Languages (KIFL) and the Japan Association of Language Teachers (JALT) Learner Development SIG. 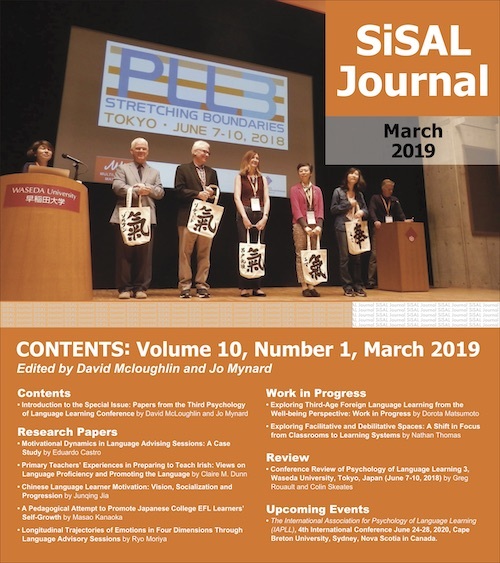 The conference proceedings will be published as a special edition of SiSAL Journal in March 2012. The deadline for submissions is December 30, 2011. Esch E.(1996), Promoting learner autonomy: Criteria for the selection of appropriate methods. In R. Pemberton, E.S.L. Li, W.W.F. Or, & H.D. Pierson (Eds. ), Taking control: Autonomy in language learning (pp. 35–48). Hong Kong: Hong Kong University Press.